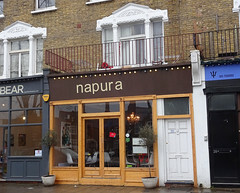 Small Portuguese restaurant in Nunhead. It also does takeaway and delivery, with online ordering via Just Eat. Last edited 2018-05-04 07:55:39 (version 11; diff). List all versions. Page last edited 2018-05-04 07:55:39 (version 11).